September 16, 2018 in Articles, Fictional Stories. [How to let a reader know from a one-sided conversation on the phone what the person at the other end is saying. The obvious ploy would be to have the recipient of a phone call continuously repeat what the other is saying. But this may abrade the reader with such an obvious and redundant repetitive strategy. First you pay attention to the buzzing of your phone against your thigh. The phone’s in your pocket. You’re sitting at your computer and really don’t want to be disturbed. Ah! That’s the reason, it’s on silent. Stand up. Remove from pocket. Look at the screen. Sit down. 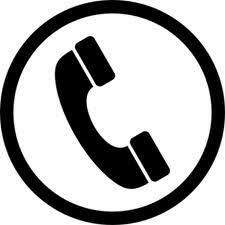 This is an unidentified call. Danger! Danger! Must be a stranger. A Nigerian gang are after your bank details; or an Indian girl with a sweet voice wants to tell you there’s something wrong with your computer and to switch it on; or it could be a friend of a friend with some bad news … so better to answer. No, I don’t think so. She didn’t mention speaking to you. Yes, go on. She did mention speaking to someone from the bank the other day. Oh, it was you. So, you’re Doris. OK. Go on. Hold on or phone me back? … Eh! … phone me back. Switch off call. Back to your computer screen. Now, what were you doing? Let’s see. Napier University. Published writing … that was quick. Phone buzzing again on your desk. Unknown call. It’s Doris. Yes, it’s me. Hi Doris. No, I don’t have my home insurance policy handy. Nineteen pounds and thirty three pence … per month? I’m not sure how much I’m paying. A cooling off? A cooling off from what. No don’t send me the policy. I can tell you now I don’t want the policy. You mean the money is taken out of my account if I forget to cancel? What if I forget to tell you within the fifteen days that I want to cancel the policy? I’m a bit absent-minded. Can you not just send me the policy and I’ll consider? No, I don’t think so. I don’t think I like this method of selling. Give me your number and I’ll check it out online and if I’m interested I’ll get back to you. You don’t bother to write the number down. Yes, this is Mr McHaggis. No, you didn’t speak to me and I don’t think you spoke to my wife. Someone called Doris called and spoke to me. Why did she put me on the system? Yes, she gave me a quote but I told her I wasn’t interested in the sales method and that I wanted the details in writing before I make a decision. Why don’t you do that? Oh, you don’t do that. No, I don’t want a cooling off period. I’m feeling cool just now … and what is there to cool off from. Should I be feeling hot? Do you want me to feel hot? I have an idea, why don’t you improve your conditions of sale and get back to me in about five years and I’ll consider your offer of a policy? Oh, and take me off your system. No, don’t contact me at a later date. No, I’m not interested. I have to limit my interests at my age. You hang up feeling less cool than you did five minutes ago. You are more than a little rubicund. Ah yes. Bar that damn number.